Conventional body shop repairs can diminish your vehicle's value. Properly performed Paintless Dent Removal (PDR) restores the value of your vehicle by removing the dents without any harm to the sheet metal or the factory finish. No sanding, body fillers, painting or blending. We can make your vehicle like new again! Paintless Dent Removal is a quick alternative to the body shop. Minor dents can usually be repaired in 1-2 hours. Large or more complex dents may take 2-6 hours. Hail damage repairs usually take no longer than 1-3 days. The body shop can take 1-2 weeks or longer for the same repairs. We are a mobile dent repair service so it can be very convenient to have your dents removed. We come to you! We service Louisville, Brandenburg, E-town, Bardstown, Shelbyville, and Lagrange KY. We also do paintless dent repair services in Southern Indiana. 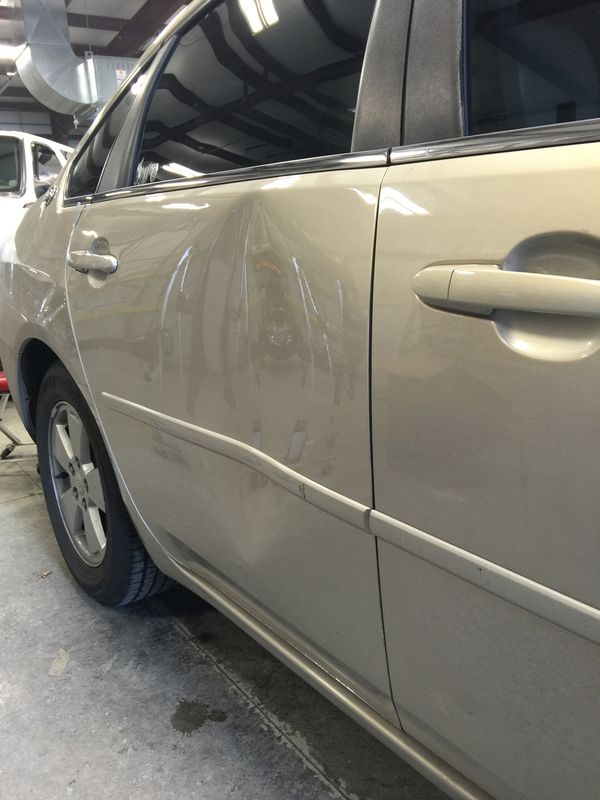 From typical door dings and minor dents to large dents and minor collisions PDR is much more affordable than the body shop with a better result. There are no harsh chemicals or paints used with Paintless Dent Removal so it is great for the environment. We gain access to the back of the dent and gently massage the dent out using special tools designed specifically for this type of work. It is a gentle and precise process. Basically, we put the dented metal back in its original place without disturbing the paint. What Kind of Dents can be Removed Using PDR? And many other kinds of large and minor dents as long as the paint is not damaged. If you are not sure if PDR is a good candidate for your vehicle, text us a picture to 502-693-6882, and we can usually determine if it can be repaired using PDR and provide a cost estimate. Large dents or minor collision damage can also be a candidate for Paintless Dent Repair (PDR). If the paint is not cracked and the metal isn't too severely stretched, PDR can work miracles for large damage. It takes a real craftsman to repair large, complex dents to perfection. We specialize in this type of dent repair and have repaired hundreds of vehicles with large dents. We take pride in repairing what most technicians turn down or just can't repair. If a dent can be repaired to satisfaction with Paintless Dent Removal it is all around better than conventional body shop repair. No cutting, sanding, body fillers, or painting which can diminish your vehicles value. Also no issues with mismatched paint or having to paint or "blend" into an undamaged panel. 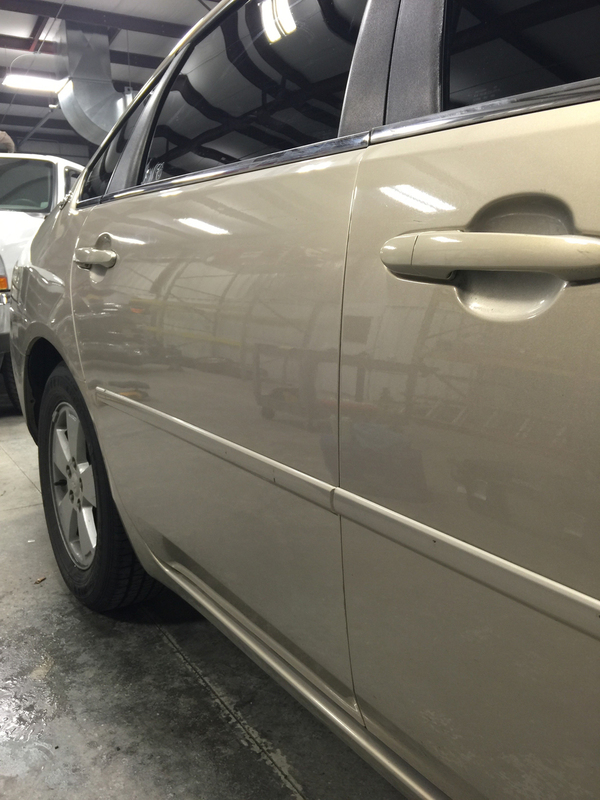 KY Dent Guy PDR is on the cutting edge of the Paintless Dent Removal industry!